Anya Court, our care home in Rugby, is hosting a regular Coffee Club at the home for anyone interested in coming along with friends and family to meet others, share experiences and develop new friendships. 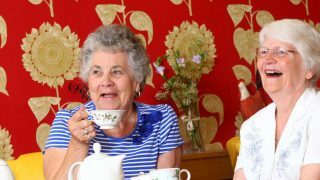 The home already hosts a very popular dementia support cafe and is now extending this initiative to encourage members of the local community to get together and support one another over a slice of cake and a cuppa. They take place on the last Wednesday of every month at 2pm and are hosted by the care home’s Customer Relationship Manager, Karen Handley.